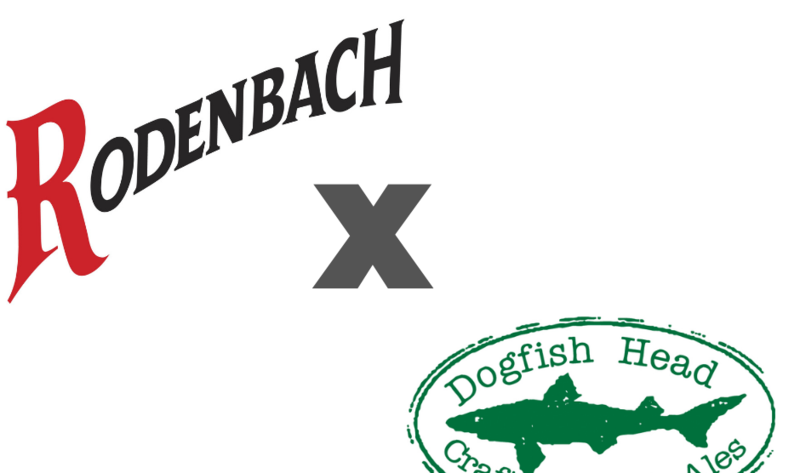 Today’s news marks the first time RODENBACH has agreed to a collaboration brew in its nearly 200-year history, and a monumental step forward in bringing a unique sour beer to consumers who are seeking a refreshing alternative to what’s currently available on the market today. Known and loved throughout Belgium for its deliciously refreshing qualities and an exceptional choice for pairing with a variety of foods, sour beer has become one of the fastest-growing segments in beer and is responsible for introducing new generations of consumers into the beer industry. “I have been a huge fan of Rodenbach beers since the early 2000’s when legendary beer writer, Michael Jackson, turned me on to them at the Brickskeller in DC. RODENBACH are the global pioneers in sour and wild beers production. Dogfish Head is proud to have the number one selling sour beer in America. So we have a lot to learn and explore together — and getting to know Rudi, David and the Rodenbach team has been rewarding and fun. I am confident we are going to make a beautiful, unique beer together,” said Sam Calagione. 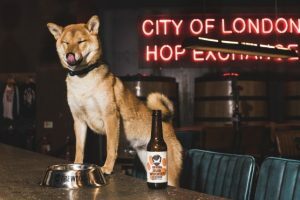 The idea of a partnership first came about following a panel discussion of leading sour beer experts at the Craft Brewer’s Conference in Nashville, Tennessee in March, 2018. Rudi Ghequire was joined by several sour beer brewmasters including Bill Marchi, head of Wooden…It Be Nice!, Dogfish Head’s wild beer and barrel aged program, to discuss the nuances of traditional sour beers and the modern expressions showcased by Dogfish Head and others. Before the end of 2018, Rudi Ghequire and Kristof Ampe, Chief Marketing Officer of RODENBACH, visited the Dogfish Head facilities in Milton, DE to explore further and solidify plans. 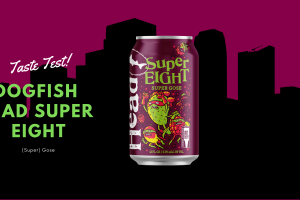 Impressed by Dogfish Head’s expertise, commitment to quality, abundant creativity and an infectious passion for beer that exudes throughout their entire organization, it didn’t take long to finalize a plan for bringing a new beer to market. “We see great opportunity for the years ahead,” added both Ghequire and Calagione. 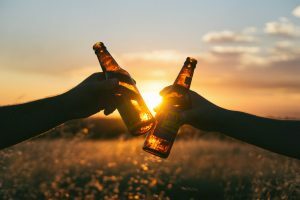 “While we’re taking things one step at a time, we have great hope and expectations that this will be the beginning of a long-term relationship between our breweries for several years to come. Brewed in West Flanders region of Belgium since 1821, BROUWERIJ RODENBACH is arguably the most awarded brewery in the world, the leading craft brewer of oak-aged mixed-fermentation ale and revered by beer drinkers, globally. The beer is aged among the brewery’s 294 oak casks (“foeders”) for a minimum of 2 years, before master brewer Rudi Ghequire expertly crafts a perfectly balanced and refreshing beer that pairs exceptionally well with food. First gaining international acclaim at the 1894 World’s Fair in Antwerp, RODENBACH has gone on to win Gold medals from the most reputable critics and publications in the world including its most recent accolade of World’s Best Sour Beer (2018, World Beer Awards). For more information, visit www.sfbimports.com or www.rodenbach.be or Instagram @RodenbachUSA. About Dogfish Head Brewery Dogfish Head has proudly been focused on brewing beers with culinary ingredients outside the Reinheitsgebot since the day it opened as the smallest American craft brewery 23 years ago. Dogfish Head has grown into a top-20 craft brewery and has won numerous awards throughout the years including Wine Enthusiast’s 2015 Brewery of the Year and the James Beard Foundation Award for 2017 Outstanding Wine, Spirits, or Beer Professional. It is a 250+ coworker company based in Delaware with Dogfish Head Brewings & Eats, an off-centered brewpub and distillery, Chesapeake & Maine, a geographically enamored seafood restaurant, Dogfish Inn, a beer-themed inn on the harbor and Dogfish Head Craft Brewery, a production brewery and distillery featuring, The Tasting Room & Kitchen. Dogfish Head supports the Independent Craft Brewing Seal, the definitive icon for American craft breweries to identify themselves to be independently-owned and carries the torch of transparency, brewing innovation and the freedom of choice originally forged by brewing community pioneers. Dogfish Head currently sells beer in 44 states and Washington D.C. For more information, visit www.dogfish.com, Facebook: @dogfishheadbeer, Twitter: @dogfishbeer, and Instagram: dogfishhead.